2014 has been full of changes, hard work, and lots of fun. Over the holidays, we moved across the country, from central California to the Florida Panhandle. I kind of love it here. Also, I began revising the manuscript I wrote in 2013, Good Girls, a story inspired by the Tim McGraw song of the same name. I blogged about Goal Setting, Gateway Books, and the Books I Read in January. I made a Thirty Before 35 list (thirty things I want to accomplish before I turn 35 in 2016). I’ve crossed ten items off so far! I made one of my *best* life decisions and started binge watching Friday Night Lights. I finished a month later. I continued plugging away at my Good Girls revision, participated in #WriterRecharge, and blogged about the Books I Read in February. And… The Seahawks won the freaking Superbowl! We visited Disney World with some of our best buddies. And saw a few Tallahassee highlights with my brother. I blogged about How I’ve Found CPs, shared bits of Good Girls in a the Next Big Thing post, and talked about the Books I Read in March. We made our first trip to the Destin beaches. Florida is lovely in the spring. Good Girls was approved by my agent and went out on its first round of editor submissions. Honestly, I felt very good about it — high hopes. Additionally, I blogged about My Process, and talked about Books I Read in April. We hit up a few minor league baseball games in Pensacola. I started a new manuscript, The Road So Far, which has since become my favorite of all the stories I’ve ever written. I shared the Love List I made for The Road So Far, participated in the Writers On Writing blog hop, and chatted about the Books I Read in May. We spent a week in Phoenix with my parents. I started a rewrite of an old manuscript, Where Poppies Bloom. Good Girls languished in Summer Submission Hell. I received lots of conflicting feedback (nothing I could apply to the manuscript) and decided to dive headlong into Where Poppies Bloom and The Road So Far. I co-hosted Ready.Set.Write with some other amazing writers, and raved about the Books I Read in June. My mom and dad come all the way to the Panhandle to hang out with my girl and me (and, maybe, to enjoy our amazing beaches, too). I finished my Where Poppies Bloom rewrite and sent it off to a few trusted readers for feedback before jumping back into The Road So Far. I did more writing than blogging this month, but I did talk about the many fantastic Books I Read in July. Such a busy month… My girlie turned SEVEN. My husband FINALLY returned from Afghanistan. I finished the first draft of The Road So Far, then dove into revisions of both it and Where Poppies Bloom. We traveled to Oregon and Washington to celebrate my brother-in-law Sam’s marriage to my new sister-in-law, Kacie. I shared a bit about Where Poppies Bloom in a Wanna Beta? post, blogged about Mood Boards (and how much I love them), and talked about the awesome Books I Read in August. This girl started 2nd grade. How time flies! I baked the most beautiful cake to ever come out of my kitchen. After a long summer of being on submission with Good Girls, I accepted that it’s not going to be The One and, upon thoughtful reflection, decided that it might not be the right debut book for me anyway. While I’m very proud of it, it’s quite dark and perhaps not entirely reflective of my tone. So, I sent Where Poppies Bloom off to my agent. It was well-received (yay! ), and is currently on its first round of submission. Cross your fingers! Furthermore, I blogged about Banned Books and the Books I Read in September. We had family photos taken for the first time since 2008. I started a new manuscript, a contemporary YA called Stars Like Dust. I adore it, and hope to finish the last 10K or so in the coming months. I also pushed through revisions of The Road So Far and sent it off to my CPs, participated in the 777 Challenge, and shared the Books I Read in October. My cutie pie wrapped up her first cheerleading season. 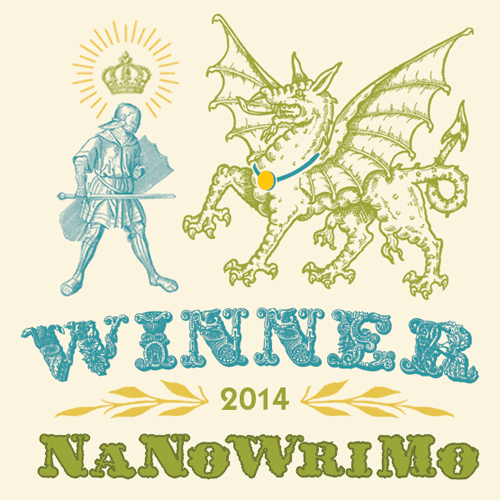 And I won National Novel Writing Month! I shared the Love List I made for my NaNo project Stars Like Dust, and blogged about the Books I Read in November. I visited New Orleans with my husband — so fun! And celebrated a lovely Christmas with my family. In addition, I completed my revision of The Road So Far and sent it off to my agent for feedback. Here’s hoping she loves it! Also, for the 4th successive year, I co-hosted the YA Superlatives Blogfest, participated in the Terrible Titles blog hop, and blogged about the Books I Read in December. 1. I can work on more than one project at a time. 2. CPs who say “screw that person who didn’t get your story” are SO important. 3. CPs who say “nope, your story’s just not there yet” are even MORE important. 4. Procrastination is most often my head’s way of telling me a story needs more time to bake, and that’s okay. 5. With each and every manuscript, my writing really does improve. 6. Writing a story that inspires me is worth any risks involved (like the story I wrote this summer… the sequel of a book that hasn’t sold yet — yikes). 7. Having an agent I trust, an agent who believes in my work and says things like “it WILL happen” is golden. 8. Making my goals public is the best way to guarantee I’ll accomplish them. 9. Family is my go-to source for true happiness. I can't wait to cheer you on for your goals this year, Katy! Thanks so much, Emma, and Happy New Year to you! I will definitely share baking photos — as always! Happy New Year, Kaitlin. I hope 2015 is wonderful for you! It looks like you had a really fun and productive year! Congrats on how much writing you accomplished! I really hope 2015 brings you that book deal. I, for one, and dying to read one of your stories. 🙂 I’ll be rooting for you!! Aww, thanks so much, Ghenet! I’m hoping for a 2015 book deal as well… Fingers crossed! Happy New Year, friend! Thank you, Cole! Best wishes to you in 2015… I can’t wait to hear all about it! Jaime, I *hope* I can trust that good feeling of yours! Thank you so much for your support and well wishes. Happy New Year to you. Hoping 2015 is an amazing year! Looks like 2014 was full of fun and hard work and good books and an incredibly gorgeous cake. 🙂 Rooting for you in 2015, Katy! Lesson Learned #8 is such a good one, and one I totally agree with. Looks like you had a busy but fun year. I have my fingers crossed for you re: book offers in 2015. Happy new year, lady! I want to give your agent a huge hug for having that much (rightly-placed) faith in your stories. Because you KNOW I feel the same way ❤ Cheers to a wonderful 2015, lovely! I couldn’t agree more with Lesson #8. I try to do that as much as possible. Katy, I believe in you SO MUCH. I know you will achieve all of your goals and then some! I think when this happens for you, it’s going to be SO RIGHT and you will be glad it worked out the way it did. Cheers to an awesome 2015! Your comment totally made me smile, Jess! Thanks so much for all your support and encouragement. It means the world! Happy New Year, friend! Thanks so much, Sara — and I hope you’re right! Wishing you all the best in 2015!